Illinois, being located far from the coasts, experiences typically continental climate, with cold winters, warm summers, and pleasant temperatures in spring and fall. The extreme temperatures sometimes experienced in this state mean that the HVAC industry here is thriving. With the need for more-efficient HVAC systems to keep people safe and comfortable comes a demand for well qualified, trained professionals to install and repair their systems. Let’s take a look at what sort of education you’ll need to succeed in HVAC here. 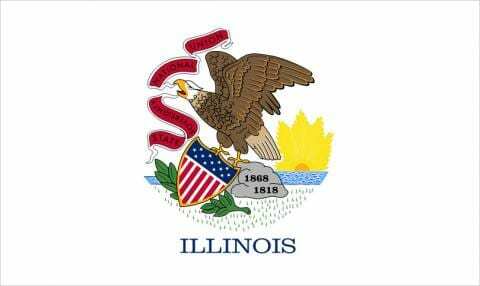 Illinois has no statewide license requirement for HVAC professionals, but licenses are available for a supervising electrician and for a plumbers’ apprentice and plumbing contractor. However, if you’ll be handling refrigerants, you’ll need to pass the EPA 608 certification, which is a federal requirement. You can learn more about the Illinois HVAC certification requirements here. In order to practice as an HVAC technician in Illinois, you may need to check with the city where you intend to practice for licensing. The City of Evanston requires all mechanical contractors to be licensed from the city, while the City of Elgin requires HVAC contractors to register with the city’s Department of Community Development. HVAC Excellence is an organization that has two main broad-based certifications: Heating, Electrical, Air Conditioning Technology (HEAT) and HEAT Plus. It also has various specialty certifications in areas such as green awareness, residential heat load analysis, and combustion analysis, to name a few. North American Technician Excellence (NATE) has several core and specialty certifications in areas such as light commercial refrigeration, hydronics (gas or oil), and oil heating, as well as industry competency exams (ICE). While neither NATE nor HVAC Excellence certification is required, they both help to show your qualifications to prospective employers or to well-versed clients. HVAC Engineers will always need a university degree to practice, either an associate or 4-year Bachelor’s degree. In Illinois, the average annual salary of an HVAC worker is $51,590, which is equal to $24.80/hour avg. This is substantially higher than the national annual average salary of $47,380, or $22.78/hour. The earnings will vary with experience and from city to city, so while the Chicago metropolitan region employs the highest number of HVAC workers in the state, Elgin pays the highest average annual salary at $62,320, 20.8 % higher than the average salary for these workers in IL. Job growth in the region is quite high, with a steady demand for HVAC workers in the state. 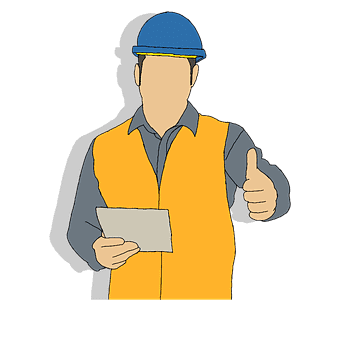 A higher degree in HVAC can definitely brighten your chances of getting into a good contracting firm or getting hired by a company looking for HVAC technicians. 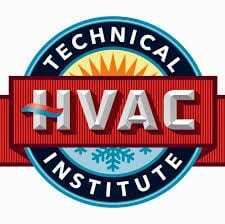 The HVAC Technical Institute offers the most comprehensive HVAC certification courses in Chicago. The undergraduate certificate in Heating, Air Conditioning, Ventilation and Refrigeration Maintenance Technology lasts 33 weeks and costs $15,000 for tuition and fees. Class sizes are limited to 20 students, and several modules need to be completed to qualify. Students receive preparation for the EPA Section 608 certification and the R-410A safety certification, as well as training in electricity; heating; basic & advanced air conditioning; ventilation & installation; hydronics; and career readiness. Through hands-on practice, they learn installation and repair techniques including brazing, soldering, pipe threading and duct work. All HVAC Technical Institute graduates are welcome to return for ongoing training at no extra tuition cost. 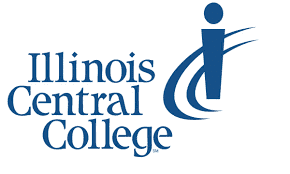 Illinois Central College offers three programs in HVAC, one degree and two certificates. The degree program provides students with the knowledge and skills related to the maintenance, repairing, and designing of residential heating, cooling, and commercial refrigeration systems. It requires 70 credits to complete and is 2 years long. Graduates can find work as entry-level technicians in one of the following areas: heating, air conditioning, and refrigeration mechanics; sheet metal duct installers; residential heating and air conditioning installers and startup technicians; and general facilities repair persons. Many of the courses will transfer into the HVAC/R Engineering Technology and Energy Management Bachelor of Science Degree at Ferris State University. This program provides students with the knowledge and skills to understand and follow the manufacturer's specifications when installing basic residential heating and air-conditioning equipment as well as the skills to complete the installation. Previous experience in residential heating and cooling is not required to enter the program. Graduates can work as entry-level residential furnace and air conditioner installers. The program requires 16 credit hours and one year to complete. After completion of this program, students can pursue the HVAC Technician Certificate, Commercial Refrigeration Technician Certificate, or HVAC/R Technology Associate in Applied Science Degree. This certificate program provides students with the knowledge and skills for the maintenance and repairing of air conditioning systems as well as heating systems. Graduates can work as entry-level HVAC technicians or general facilities repair persons. The certificate takes 27 credit hours to complete and after completion students can pursue the Commercial Refrigeration Technician Certificate or HVAC/R Technology Associate in Applied Science Degree. Coyne’s Chicago HVAC-R diploma program can be completed in 42 weeks.The curriculum teaches you to install, troubleshoot and service domestic and commercial systems. Classes are offered in the day and in the evening, suitable for people already working. Coyne College offers EPA 608 certification testing as well as online NATE (North American Technician Excellence) testing. Career Services and job placement assistance is helpful to find a good job after graduating. The cost of tuition is $14,956. The Associate in Applied Science (AAS) Degree in HVAC/R Engineering Technology AAS instructs students in air conditioning, heating and refrigeration. Besides the basics, they also cover uses of air conditioning, temperature and humidity control, air circulation, cleaning, installation and troubleshooting of equipment. Students are required to take a national exit exam which adds them to the ARI (Air Conditioning and Refrigeration Institute) National Registry, which goes to Refrigeration, Heating and Air Conditioning employers. The degree requires 63-67 credit hours. The prospects for an HVAC Engineer are on the brighter side in Illinois, although certain cities will have more opportunities or will pay better. An HVAC engineer in Chicago earns an average of $74,800 per year. This is 12% above the national average for an HVAC Engineer which is $65,483 annually. Salaries for an HVAC Engineer in Chicago range from $44,602 per year to $123,291 per year. Many HVAC engineers opt for Mechanical Engineering degrees. Entry-level mechanical engineers holding bachelor's degrees earned average annual starting salaries of $61,300, according to the National Association of Colleges and Employers' Spring 2012 Salary Survey. NACE reported that mechanical engineers with a master's degree started at an average of $75,700. Northwestern offers a Combined BS/MS Program that allows undergraduates to pursue a bachelor’s degree (BS) and master’s degree (MS) simultaneously, shortening the time required to earn a master’s degree. For some students, it may be possible to earn both degrees at the same time in just four years. The Mechanical Engineering degree gives students a grounding in fields such as dynamics, solid mechanics, fluid mechanics, and thermodynamics. Advanced topics in areas such as computer-aided manufacturing, robotics, micromechanical systems, and energy principles are covered as well. The MS program in mechanical engineering provides advanced technical knowledge beyond a BS degree. It requires at least three quarters of course work and the completion of a thesis or project on a research topic. It is possible to complete the program in nine months, although most students take between 12 and 15 months to complete it. The UIUC has a research center called the Air Conditioning and Refrigeration Center (ACRC). The ACRC research program involves about 40 graduate students and more than 20 undergraduates who work on significant research projects and often are hired by their industrial sponsors, labs and other industry employers. The BS degree in Mechanical engineering is ABET-accredited and requires 128 credit hours. The first year covers the basics of science: math, chemistry, and physics. The second-year students cover statics, dynamics, basic circuits and electronics, thermodynamics, and strength of materials. Advanced studies cover various specialized topics and there is a capstone project in the final year. A combined BS-MS Mechanical Engineering degree program is available, requiring 120 hours of undergraduate credit and 32 hours of graduate credit. The BS and MS degrees are granted simultaneously at the end of the program. The BS in Mechanical Engineering program offered by IIT is accredited by the Engineering Accreditation Commission of ABET Inc. and is 127 credits long. The program is composed of courses that provide knowledge of mathematics, science, and engineering. They also teach how to design and conduct experiments as well as to analyze and interpret data. The Master of Engineering programs are course-only, professionally-oriented degree programs and require a minimum of 30 credit hours. There is no thesis or comprehensive examination requirement. The student, in consultation with an MMAE academic advisor, prepares a program of study that reflects individual needs and interests. It requires 30 credit hours to graduate. A PhD program is also offered for Mechanical Engineering that requires 16 credit hours beyond the MS one. If you’re considering a career in HVAC and want to pursue this in Illinois, then this article should give you all the information needed to get started. In order to secure a lucrative job as an HVAC technician or engineer, you’ll need to achieve the right certification or other educational qualification.